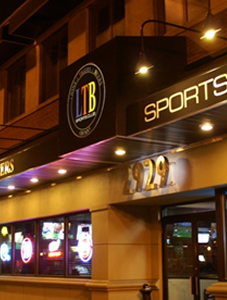 Lions Tigers & Beers is a typical sports bar- flat screens that run ESPN every minute of the day. Tuesday night is karaoke so if you like karaoke this is the place to go to. If you come on the weekend during the busy nights there’s usually a live DJ as well as a dance floor. The predominant clientele is made up of the young who are not inclined to end the night with a brawl (naturally, there will always be exceptions). This is a good place for the gang, one reason is the outdoor seating the bar offers. The best nights to come to Lions Tigers & beers is Tuesdays, Wednesdays and Thursdays. Don’t worry about the alcohol, the place has a full bar for it. The Detroit River is right out the back door and many other bars within walking distance.